Sanait Mould Co., Ltd has a powerful R&D team, which is capable of manufacturing the injection moulds with1 cavity or multi-cavity including the injection system. And we can manufacture injection moulds especially according to clients' injection molding machines. We also design cold parts, hot runners and other main exchangeable parts to fix on the imported injection moulds. (1). 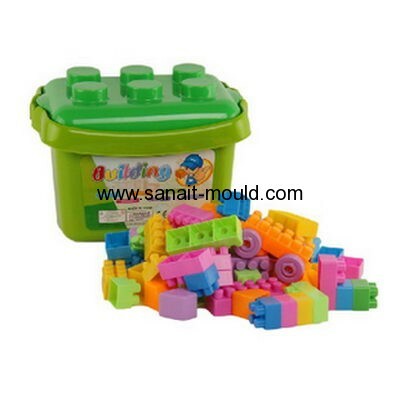 The main components of moulds are made of imported high quality material. (2). The mold base is made of imported P20. plate method avoids corrosion efficaciously and assures long life service of the perform molds. (3). German Vacuum stove is imported for heat treatment of the components, which assures the hardness of components HRC45-HRC56. (1). Advanced hot runner system. (2). No cutting of valve gate is employed to reduce the labor cost. (3). Reasonable designed cold water channels increase cooling effect and shorten the cycle time.